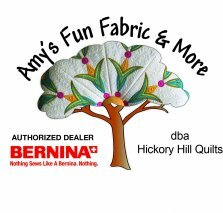 B790+ or B880+ machines get a new Koala cabinet or a Bernina 700 machine! Other alternatives are to get the newest embroidery software free (V8.1) or a new B350 PE! These are unpublished alternative offers I can give. If that doesn't suit your fancy, we'll go back to the protective travel cases and the accessory and embroidery kit worth $2,500! WE WANT TO MOVE THOSE MACHINES! I also have two 770 QE’s ready to move with gift with purchase specials! What's New In The Shop??? LEARN YOUR MACHINE: Something for all of our friends who need a jump start getting back into sewing! This class is designed to provide basic sewing machine operation and maintenance. If you have a machine that you haven't used in a long time, or is "new to you" (inherited, purchased 2nd hand, or purchased from a source that provides no lessons), then this class may be exactly what you need. 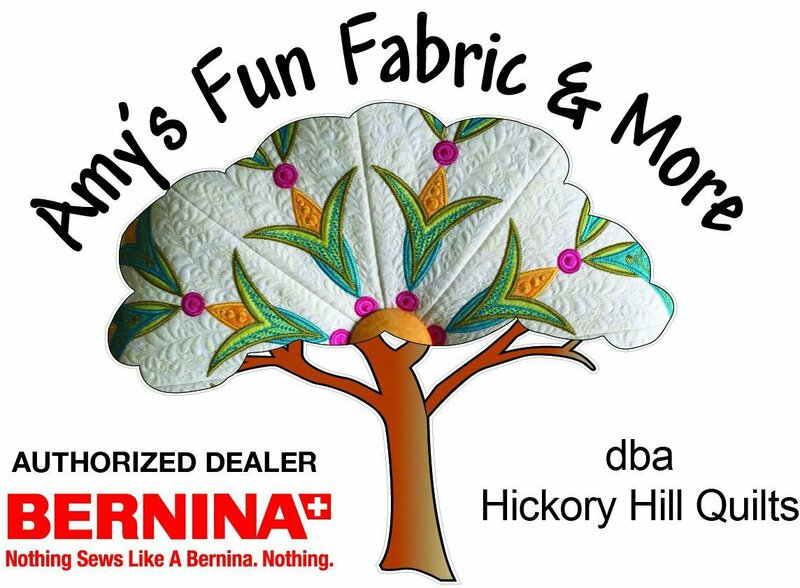 We will help you with how to thread your machine, change the needle, fill a bobbin, and show you how to clean and oil it, as well as discuss the basics of how a sewing machine functions. Waterwheel (2 Day Course): A Cutloose pattern from Quiltworx!!! The pattern and all the papers are so much cheaper! Our own Judy Bowers will be teaching (9&16) so come join us. There is no kit – just using your stash to make a fun wall hanging. Picture is on the web site! QUILT EMBELLISHMENT WITH EMBROIDERY AND MACHINE APPLIQUE PROJECT STARTING! Second Saturday of the month! Susan Kadlubar will be teaching the Can Can Confetti pattern by Smith Street Designs! The class is $120 and the kits are $170 – made up and ready to go! Jan 13th! OESD School of Embroidery Classes: We no longer have “embroidery club.” We have purchased the Oklahoma School of Embroidery (OESD) certifications for our staff and are now participating in the training courses for our customers. Designs are included and not purchased separately. There may be months with kits, but we will do our best to let you use your own materials. We scheduled for the 3rd Tuesday monthly. I know that in January Barbara is teaching trapunto quilting! Picture on web site. Date this month is on 1/23 since there was a conflict with the Waterwheel class. Our Community Service Block of the Month (BOM) is doing well for our first attempt. We had about 75 January kits go out the door (They are due back by 1/10/18!!!). We felt that was pretty exciting! Thank you for being such great supporters of loving others through your art! OPEN SEW DAYS W/ POT LUCK! January’s date is the 27th and we are having chili with all the fixings! I’ll need folks to bring onions, Fritos, sour cream, dessert, etc – the works for a fun day! (All dates and themes are in the classes/clubs section of the web site. Tuffets are January 29 & 30! Valentine’s Make and Take using Hickory Nuts is in the works for Feb! REMEMBER – THERE MUST BE 3 ATTENDEES FOR A CLASSES TO MAKE OR THE CLASS WILL BE CANCELED. Call the shop if you have questions or need help with sign up! 501-318-2739 The full year calendar is on the web! 1/10 – BOM – QUILTS OF VALOR DUE 10TH MONTHLY!!! 1/12 – Judy Niemeyer Sew In Day – Must have 3 to have to instructor! 1/18 – Learn Your Machine pm – All makes and models – Learning to use YOUR machine. On Line Sales are Almost Ready for Prime Time! We turned it on today and are very excited that folks will soon be able to order items directly from our store! NOTE: Paypal sponsors our on-line processing, but all other forms of credit can be used! Just hit the Paypal button and you will have the option to choose the other methods of payment. Same for classes!